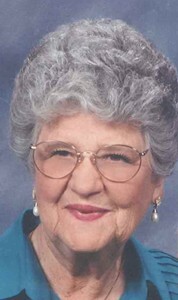 Anna Mae “Sue” (Caray) Jenkins passed away on December 21, 2015 from a massive stroke at the Hospice House of Olathe Medical Center in Olathe, Kansas. Anna Mae married Robert Benny Jenkins 67 years ago and he quickly changed her name to “Sue”. They have three children: Jackie and Dan Jenkins and Mary Jo “Joi” Brooks. They also have three grandsons: Jordan and Jackson Brooks and Evan Jenkins. Sue was a very sweet woman and a wonderful wife and mother. She did volunteer work for the Overland Park Christian Church and Olathe Medical Center for many years which she greatly enjoyed. She will be missed by family and friends and her dear cat Riley, too! A memorial service will be held at 10:00am on Thursday, December 24, 2015, at Penwell Gabel Funeral Home in Olathe. A visitation will follow until 11:30am. In lieu of flowers, memorial contributions may be given to the Overland Park Christian Church, Olathe Hospice House or any animal shelter. To leave a special message for the family or to share a memory of Anna Mae, please click on the "Share Memories" tab above. Add your memories to the guest book of Anna Mae Jenkins.